All I want for Christmas is....a run ! Christmas conjures up all sorts of delicious smells for me; roast potatoes crisping in the oven, that strangely appealing odour of crackers just pulled, the sweet smell of warm mince pies and even the slightly dubious ones (Granny!). But my favourite by miles, is the smell of salty, hot bacon wafting through cold fresh air as my husband and I reach the top of Leith Hill, the high point of our Christmas Day run. Add in the eye expanding view over the beautiful Surrey and Sussex countryside and there is no better place to be. Escaping the chaos of our packed household on Christmas Day is a custom I have long bought into. Quite frankly all the fuss surrounding what is essentially in my mind an oversized roast dinner and the often conflicting ‘traditions’ imposed by visiting relatives can get all too much. 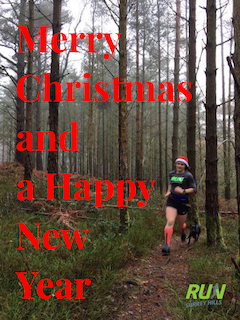 Putting on my familiar running gear and if I’m lucky a new pair of Christmas socks and heading out that door whatever the weather, is my time. The best present I can give to myself (and I didn’t have to wrap it). My family have long accepted that this isn’t some sort of selfish lunacy (sometimes it is) but that it’s a drug free form of medication. I love leaving the warmth of the house and feeling my body adjust to the change in temperature and I love the fact that with a house full of people, these 60 minutes or so may be the only time my husband and I get to chat freely without the demands for batteries, hot water or frowns from parents in law about why our children are still in their pyjamas. Inevitably we bump into friends and exchange christmas wishes, laugh at our respective dogs playing chase and because we are British, comment on the weather. And it is that simplicity and giving my girls big hugs with cold hands on our return that makes my day. ​And that smell of bacon? 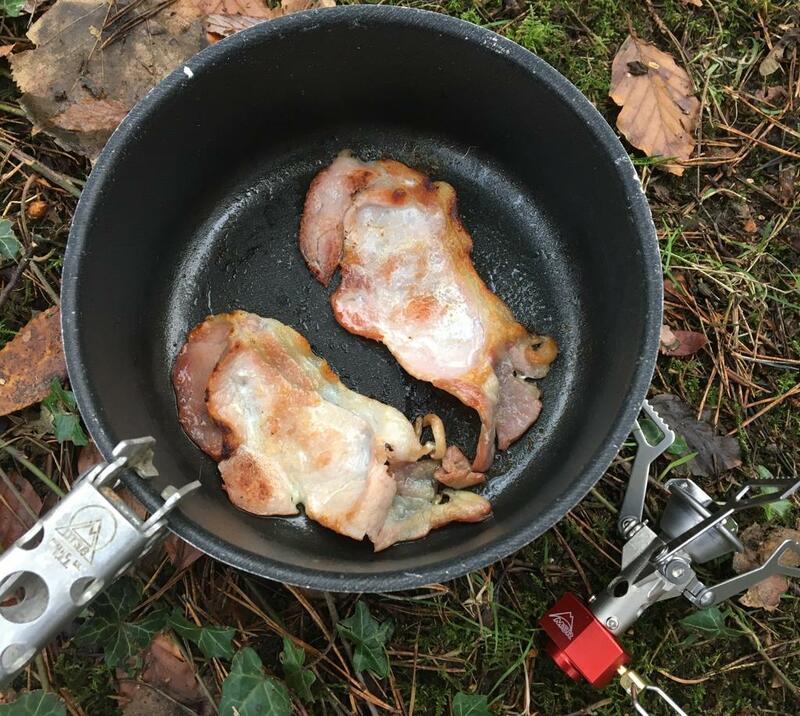 - well that is a tradition I am aspiring to and so come this Christmas, I will be heading out with my tiny MSR pocket rocket stove and a packet of bacon in my pack. So if you are out in the Surrey Hills and smell a hint of bacon on the wind, you know where to find us. We will pack extra. 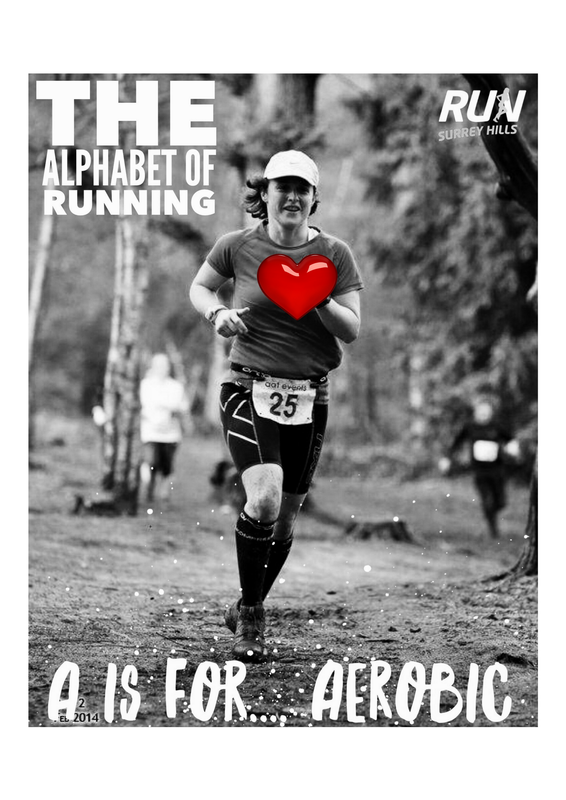 - Inspire someone else - take them running with you, show them a new route, enthuse them over a cuppa or a beer. Giving back to the sport you enjoy is enormously rewarding and can remind you why you do it. - Run for adventure, exploring rather than because you ‘have’ to. The day running becomes a task is the day enthusiasm starts to wane. Go run in a new area, find something on a map and go look for it or play the ‘ooo let’s go that way’ game. Nothing like something new to get your brain and legs whirring. - Reverse your route. Simple and ridiculously effective. - Treat yourself to a new bit of running kit and take it for a run. Whether it is a brand spanking new pair of trainers or a bobble hat from the charity shop it can give you a spring in your step. It’s kit after all! 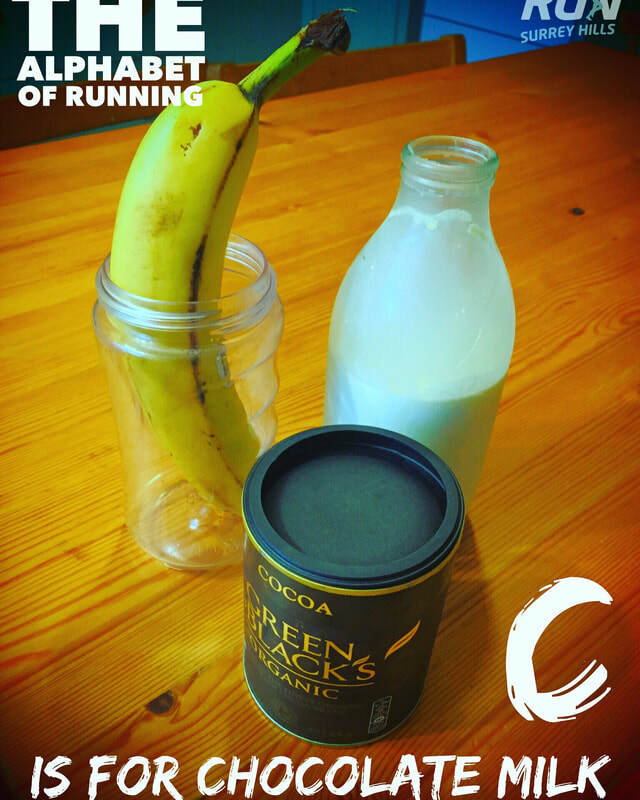 - Join a running group/club. Nothing like some friendly banter and maybe a bit of challenge to break you out of your run hum drum. 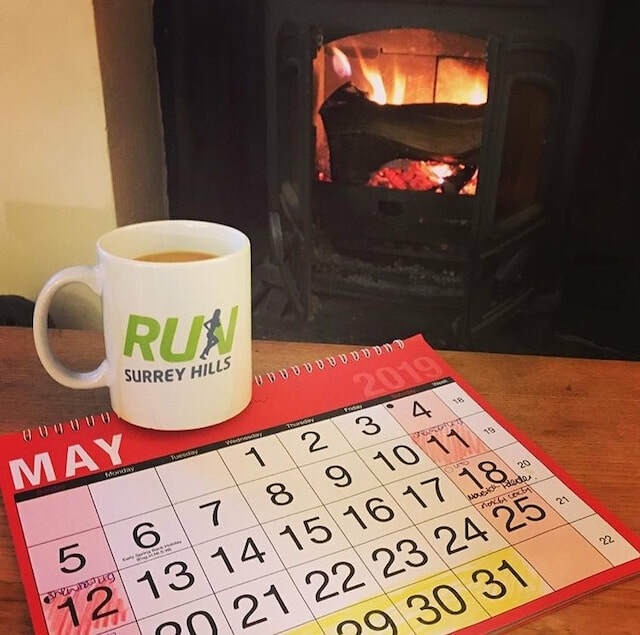 - Follow runners on social media and see what daft things they are up to. - Got the fancy watch? Download a GPX route from Strava and follow it. 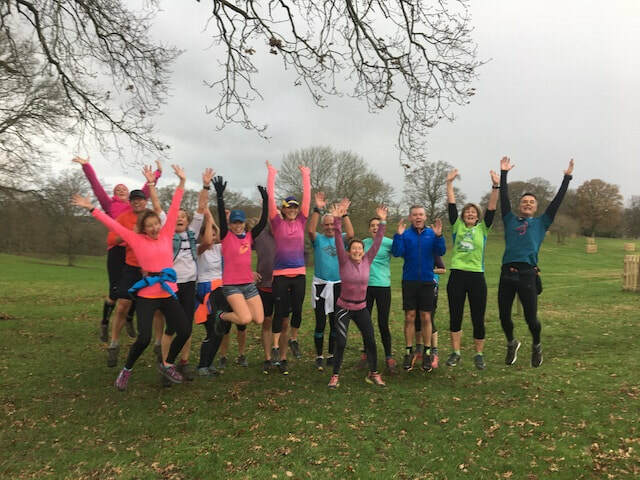 - Book a coaching session - winter is a great time to work on your running technique, getting stronger and planning your year ahead. Let us coaches enthuse and motivate you. - Sign up for an event. You know that one that slightly scares you or loads of your mates are doing. - Take a break. Relax, do something different. Wave goodbye to the culture of the more miles the better. Absence not only makes the heart grow fonder, time off running gives our amazing bodies time to recover and grow stronger. When it comes to choosing your first Swimrun ever... choose a really hard one ?!? Doing a half marathon in our wetsuits! We are still discussing (arguing) about whose idea it was to do the Breca Buttermere Swimrun. When we were blowing out of our backsides training on the North Downs, it was all my idea. When basking in the glory of surviving all that The Lakes had to throw at us (nothing short of apocalyptic), it was all Andy's. Anyhow, turns out we were inspired and it was the best adventure ever. The sum is greater than the parts when it comes to a Swimrun team. Andy is tall, a seriously fast swimmer and pretty quick on land too. I am 5ft 4” on a good day, learnt to swim 8 years ago and steady eddy is my middle name. What do I bring to the party? I never give up. So we did the swim, slid around the legendary G3 route, ankle deep in mud and then started off for home. 5k in and Andy went quiet, very quiet, oh and green. This is never a good sign from someone who won't stop talking to breath. There is no missing someone who is training for swimrun. How many times do you see two people running down your local high street wearing wetsuits, swim hats and googles, not to mention a red floaty thing between the legs? Thankfully not often. Not even in Dorking. At Thorpe Lake we were often asked if we had forgotten to take our trainers off. One of the great things about swimrun is that the gear is still developing and for that first race, I worked out what people were wearing and what kit they were using from the few race photos available on line. I even watched a YouTube clip on how to make holes in my pull buoy! If teams at the Otillo World Championships used a tow line, then it was good enough for me. Cue a quick trip to B&Q for elastic, electrical tape and very pretty karabiners. Andy wasn’t so sure. The day of Breca Buttermere dawned full of mist and drizzle. Perfect Lakes weather. We knew we had a big day ahead and that it could be ALL day. The second swim stage was 1k in choppy, windy, rainy conditions. Think swimming in a washing machine. I was being swept from side to side and often my stroke was out of the water the chop was so much. But I trusted Andy and would not look up until the murky bottom came into view. It did but Andy scrambling around trying to gain purchase with paddled hands came with it. Something wasn't right. I stood up. We were still in the middle of the lake. Flash back to the safety briefing. Something about submerged islands. Andy seemed perplexed at finding himself aground, more interested the hole in his wetsuit backside. What was he doing,I thought, naming the island?? He looked at me. I looked at him and shouted, “Swim! Again!” in the calmest voice I could muster. And off we went. Honister Pass. What can I say. Brutal and magnificent. Over 1000m of running uphill with hail, gusting winds and in the cloud and the setting for my darkest hour. We had done all the training, we had sorted the food, we had done crazy things before but still it got me on the day. An hour into the climb my head was numb, blank, empty. This wasn't mindfulness; this was staring at the abyss. I couldn't see a way out but I knew I needed help. It took me 30 minutes to get over my pride and ask Andy to help pull me along. But soon as he did, the lights went back on and hope was restored. The top of Honister was awash with weather and we quickly realised that any false move over the ragged loose rocks as we hurtled along would mean a very slow, cold and potentially dangerous exit. We donned our wooly hats (aka swim hats) and laughed out loud at the sheer madness of it all. We arrived back many hours later, battered, bruised and triumphant, to the sight of Ben from Breca handing us a pint of beer. There is nothing so addictive as those endorphins cartwheeling through your body when you overcome an almighty challenge to make you want to do it again. What a race, what a swimrun. And so a passion was born. I know how lucky I am to have such a trail running paradise quite literally on my backdoor step. But how can you get better at running offroad if distance, work, family mean you can’t get out to the trails as often as you would like? Take a few moments to think about the last time you ran offroad….. Play ‘don’t step on the lines’ as you run along a pavement. 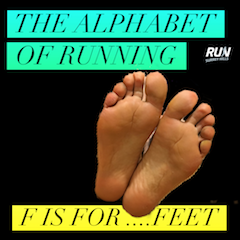 It will make you move your feet quicker, forces you to change direction spontaneously and vary stride length. Chuck in some hopscotch – remember this from school. Brilliant for improving single leg stability and mimicking finding your way through a rocky path. Find part of the run where you can dart left and right. Perhaps use lampposts etc as markers. Great for challenging your trunk stability. Pretend a certain stretch of your run is covered in short grass, long grass, flooded with water (think Baywatch lifeguard going in for a rescue). Great for practising and strengthening that knee lift. Jump! Jump both feet forwards using your arms and make sure you ‘stick’ the landing. So have your knees bent, feet about hip width apart and be upright in your body. Easy? – try it off low walls or benches. Great for mimicking the forces experienced when running downhill. Regularly run new routes. Keeps your brain active and your body alert as you have to find your way and you come across new challenges. Most of us have heard of ‘fartlek’ training, where you alternate your pace from slow through to sprint. Great for mimicking the gear changes we take up and down hills or through mud, sand. Find a hill and run it, repeat. Could this mean you get a few funny looks when you are next out on the streets? (all relative – I wear a wetsuit when training for swimrun!) 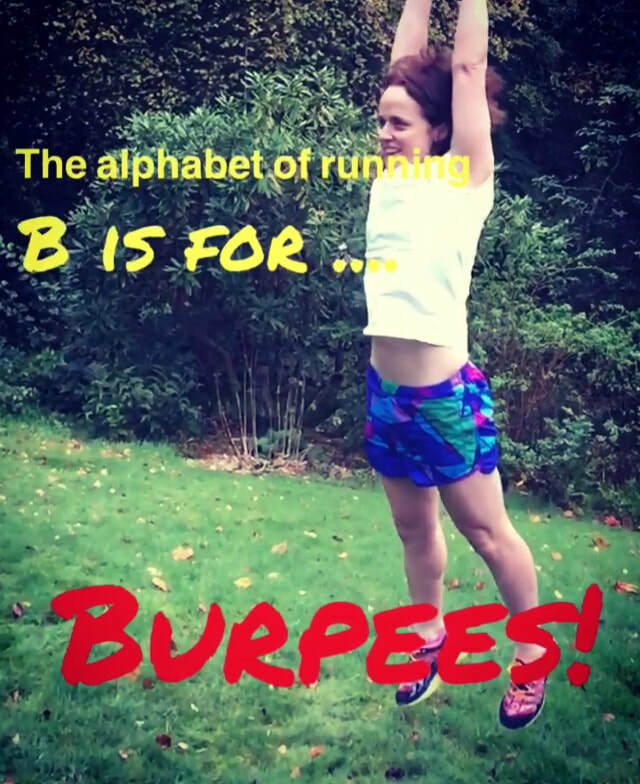 Well yes maybe, but you will be safe in the knowledge that you have added some fun and challenge to your running and you will be one hopscotch nearer to being trail ready. I am unashamedly a champion of trail running. Ok so its convenient, the trails are on my doorstep but there are many reasons why it is worth going on a little trail adventure every now and then. Even if you run the same route time and time again, the seasons change, the weather changes and the trail changes. With trail there is sunshine to feel on your skin, wind to blow you along, puddles to jump over, stones to kick, logs to balance on, different smells, wildlife to admire and not to mention trees you wish you could recognise and a good dose of mud and sweat. All these things make running trail an adventure, motivating, sensory and all this makes time fly faster, making us more likely to stick at it. Any sort of running is a great way to stay fit but there is increasing research to show that running on trail is great for your mental health. It seems that exercising in wilder places can increase our energy levels, feelings of positivity and reduce anxiety and depression. Running = freedom. 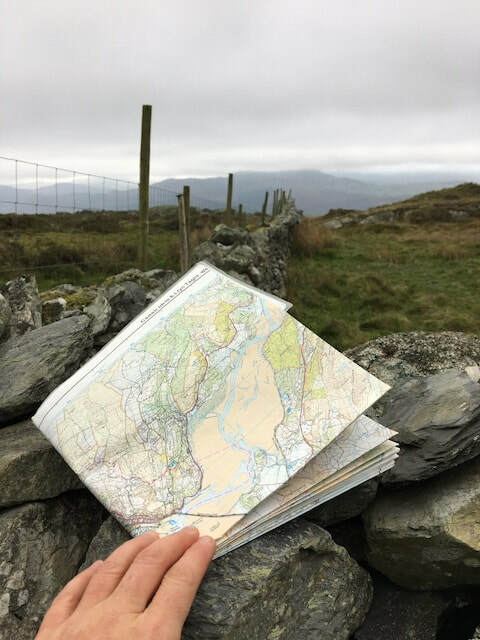 When you trail run there is nowhere off limits - follow new trails, go cross country, uncover history, discover new places and if sometimes you get lost well thats good for your brain too. Peace and quiet, empty trails and only the hum of birds will disturb you while you are out on the trail... and relax. What a crazy run that was!